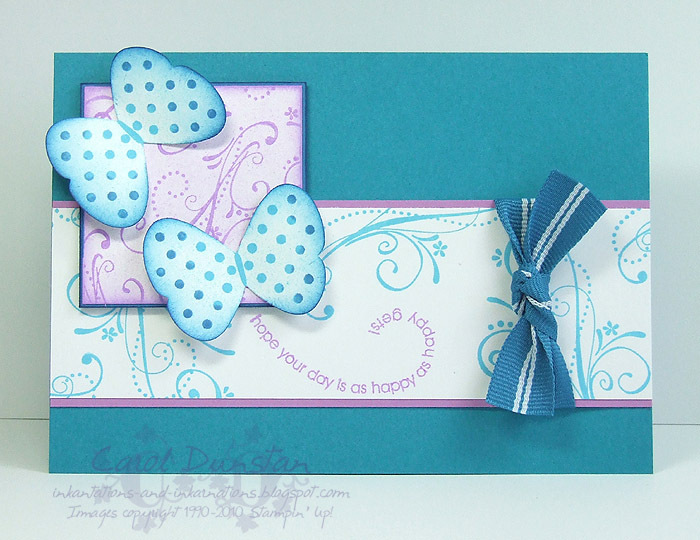 Stampset: Friends 24/7, Flight of the Butterfly, Fresh cuts. 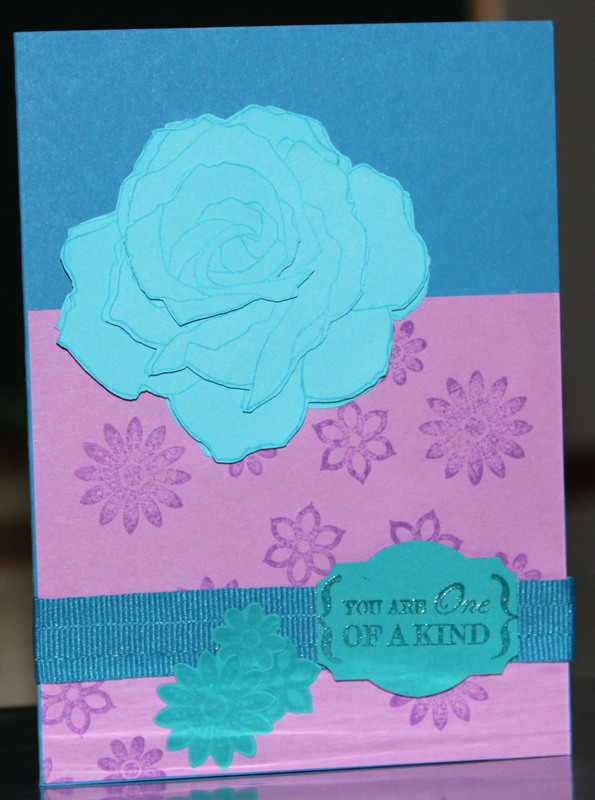 Cardstock: Pacific Point, Taken with teal, Tempting turquoise and Orchid Opulence. Ink: Orchid Opulence, Tempting Turquoise, whisper white craft, Pacific Point. 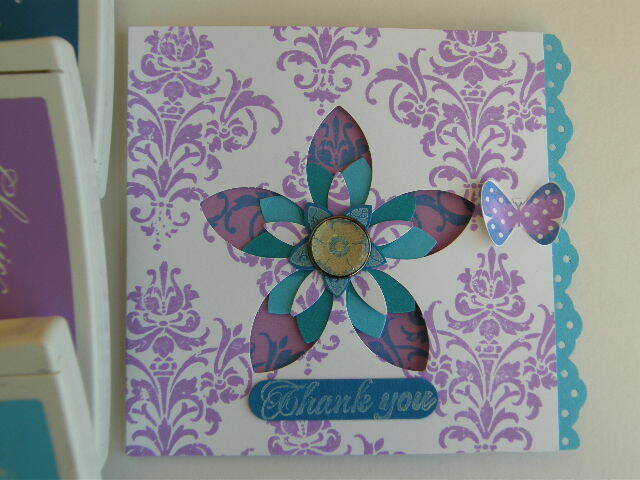 Accessories: Fresh cut notes, Five petal punch, word window punch, eyelet border punch, 1/2 ” circle punch. Build a brad with DSP. Acc: Clear embossing powder, designer label punch, boho blossoms punch, paper snips, dimensions, Pacific Point striped grossgrain ribbon. Accessories – Eyelet Border punch, Word Window punch, Scallop Circle punch, 3/4″ Circle punch, Tempting Turquoise Brads, Clear Button, Linen Thread, Eyelets (retired), Crop-A-Dile, Daubers, Sticky Strip, Snail & Dimensionals.